Austal Limited (Austal) (ASX: ASB) has commenced construction of the second of two 118 metre high-speed passenger trimaran ferries for Fred. Olsen Express in the Company’s Philippines shipyard. The vessel is due to be delivered by the end of 2020 as part of an A$190 million contract with Fred. 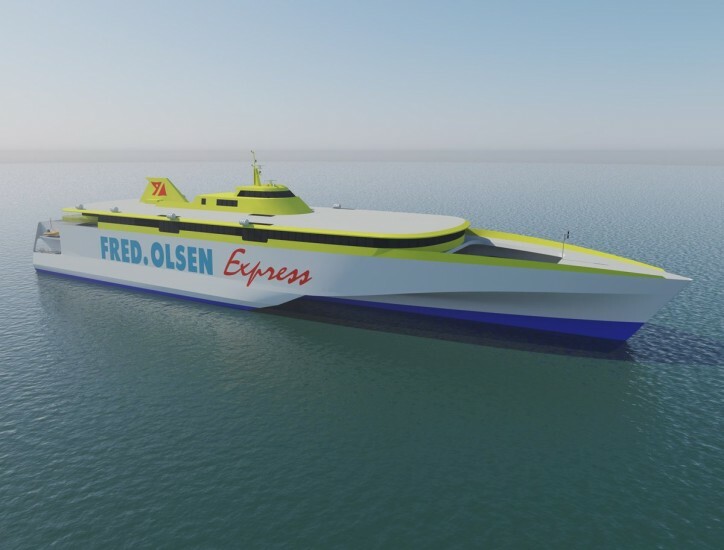 Olsen Express for two 118 metre trimarans, which was awarded to Austal in October 2017. 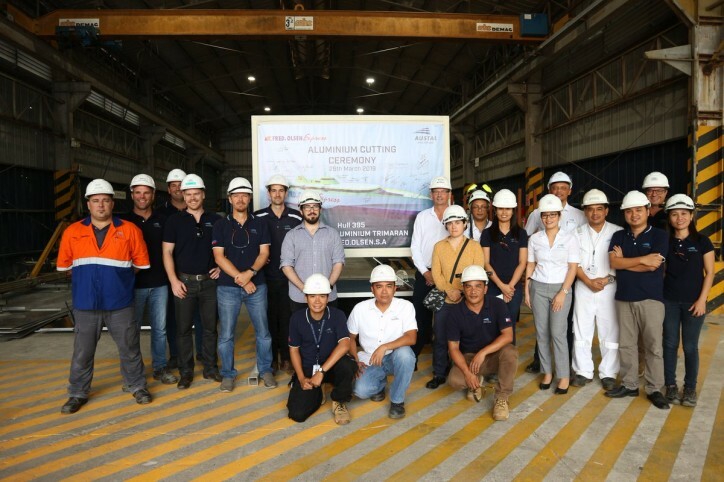 A metal cutting ceremony for the future “Bañaderos Express” was held in the Philippines shipyard, where the official names for the new vessels were officially announced by Fred. Olsen Express. “These vessels developed for Fred. Olsen are among the most sophisticated and technologically advanced that Austal has developed,” Austal CEO David Singleton said. “The Austal-designed and built 127 metre trimaran, the Benchijigua Express, has become the benchmark for blue-water commercial ferry operations since it entered service in 2005, exceeding expectations for performance, speed and customer experience in the Canary Islands. These new 118 metre trimaran vessels will continue to be a game-changer in the international high-speed ferry market when these vessels enter service for Fred. Olsen. Fred. Olsen Fleet Director Juan Ignacio Liaño announced the official naming of the two next-generation trimarans will define the vessels’ identities. “This year, our route between Gran Canaria and Tenerife islands reaches 25 years in operation,” Mr Liaño said. “In honour of this anniversary, the new trimarans will be named after the original vessels of the line, the famous “Bajamar” and “Bañaderos”, with the addition of "Express".